After Daniel Nevin's Dollar car reservation problem — which included having to spend an extra night in Orlando — he wants a full refund. Is he entitled to it? Q: I recently had a confirmed reservation for a one-way rental between Melbourne, Fla., and Orlando. But when I arrived at the Dollar Rent A Car rental counter, the agent wouldn’t honor my reservation because I’d made it earlier that day. She said she wouldn’t have any more cars for the rest of the week. I asked to speak to a manager on duty, and she said there wasn’t one and would not give me the number to the branch manager. Other car-rental locations were sold out. Finally, after a long wait, a supervisor gave me a car. That would have been OK, except that when I tried to return the car to the Orlando airport location, they said they could not accept it. A Dollar employee said they had “no record” of the rental and claimed my contract wasn’t even a contract, even though it had Dollar printed on it. I spent five hours trying to return the car. I missed my flight and had to spend another night in Orlando. I emailed the Dollar manager in Melbourne, who insisted that none of this happened and that I had no trouble returning the vehicle, even though I have everything documented. A: Dollar shouldn’t have accepted your reservation if it didn’t have a car for you (although I know why they do that — I’ll explain in a minute). Dollar should have resolved your problem in five minutes, not five hours. I’m sorry you missed your flight back to Texas. I agree, the rental company should compensate you in some way. But a full refund for your rental? That would be very generous. It looks as if you paid $103 for your one-way rental, and Dollar provided you with a car, even though it also gave you a massive headache. This Dollar car reservation problem is at least partially the company’s fault. One of its franchisees had trouble managing its fleet inventory and appeared to have accepted more reservations than it has cars. I promised to explain what’s happening behind the scene. Here’s the Reader’s Digest version: Because of the car-rental industry’s liberal cancellation policies, which allow you to make a reservation and cancel at any time without a penalty, some rental companies have a difficult time managing their fleets. At the moment you booked your rental car, the Melbourne location may have had a vehicle in inventory, but by the time you arrived at the counter, it did not. Next time, you might want to reserve a car within more than a few hours of your arrival. Waiting until the last minute may have exacerbated your problem. I recommended that you give Dollar another chance to resolve this and sent you the names, numbers and emails of the Dollar Rent A Car customer service executives listed on my consumer advocacy site (Hertz owns Dollar). Clearly, we had a breakdown between the Melbourne franchisee and Dollar corporate. I wanted to be sure they had a chance to resolve it. You contacted the executives in an attempt to fix your Dollar car-reservation problem. 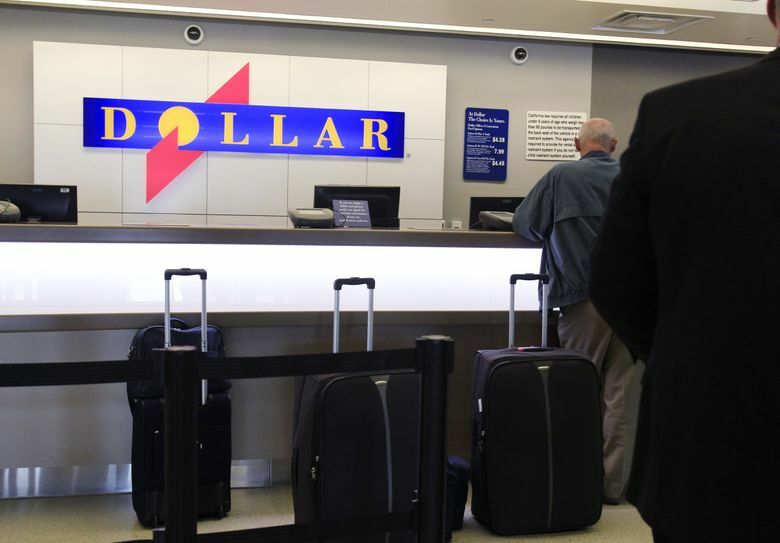 A manager from Dollar’s Melbourne location called you and said that although this was the Orlando location’s fault, they would offer you a full refund. I think that’s beyond generous and am happy the executive contacts worked for you. Christopher Elliott Christopher Elliott is author of “How To Be The World’s Smartest Traveler” (National Geographic) and the Travel Troubleshooter column that appears Mondays on seattletimes.com/travel.